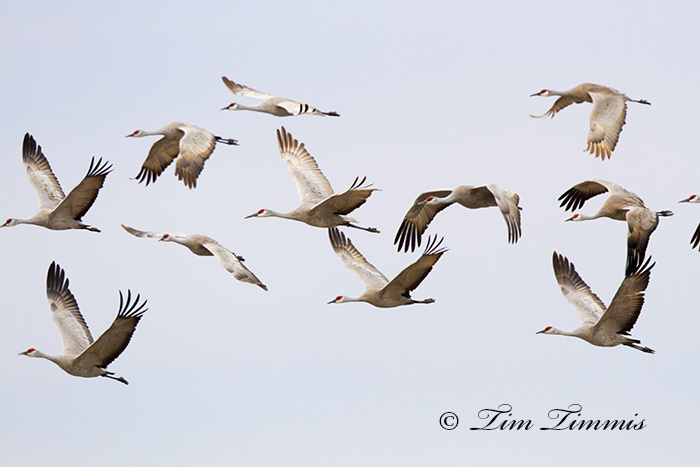 Made my second annual trip to Nebraska to see the Sandhill Crane migration along the Platte River in Nebraska. Had a great time last year and had to try again. 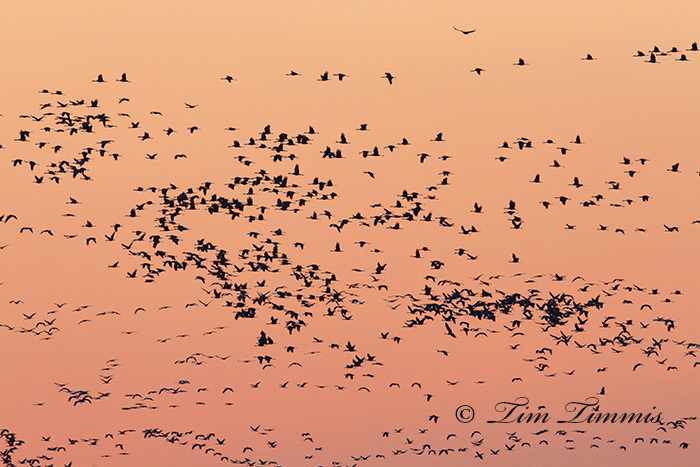 It was peak timing with over 200,000 Sandhill’s estimated to be in the area. Worked a 20 mile stretch of dirt back roads south of the Platte river east of Kearney, NE for 2 1/2 days. Only had one day of sun but it was tough shooting during mid-day with the sun out. It was a little chilly in the mornings with temp’s in the 20’s (deg F). One lesson learned was that I should have taken my beanbag on this trip as my arm got worn out with handholding my 500mm lens out the car window for most of the trip. Took my tripod but didn’t use it as I opted to hand hold my 100-400 lens while on the railroad bridge over the river at sunrise and sunset. Ended up getting some decent sunset shots that I’ll post later. 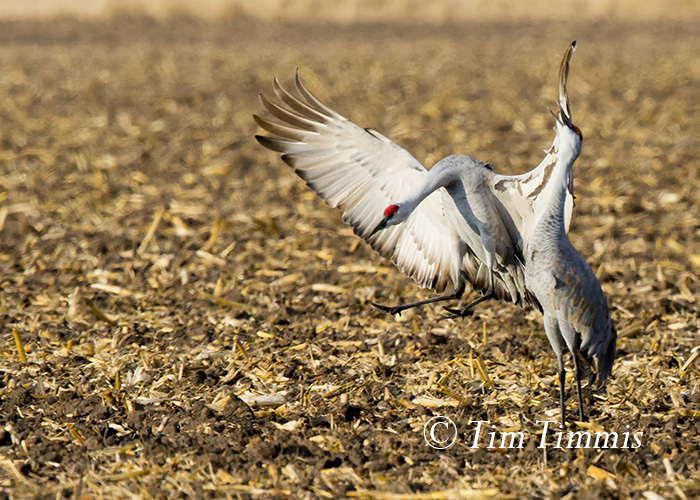 This Sandhill was being praised as he was getting ready to stick the landing. 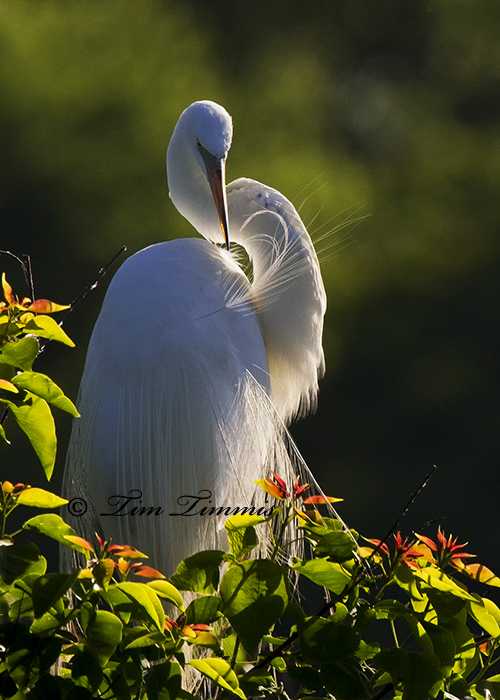 Mating dances were going on all around me, which was fun to capture. 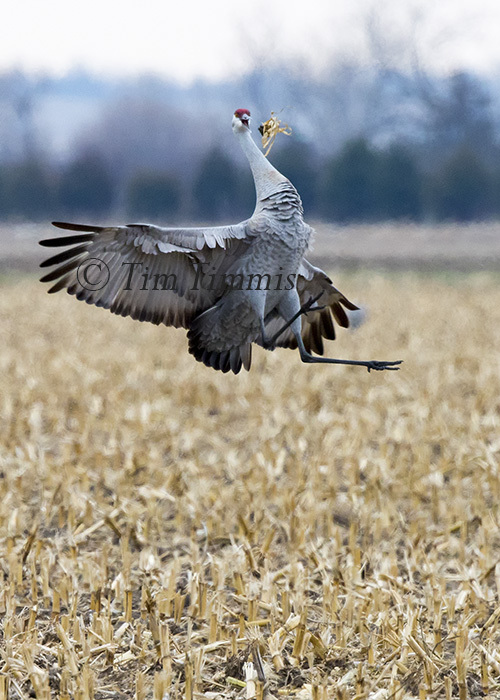 Some Cranes would pick up corn stalks from the ground and through them up into the air. Got several shots of this behavior. 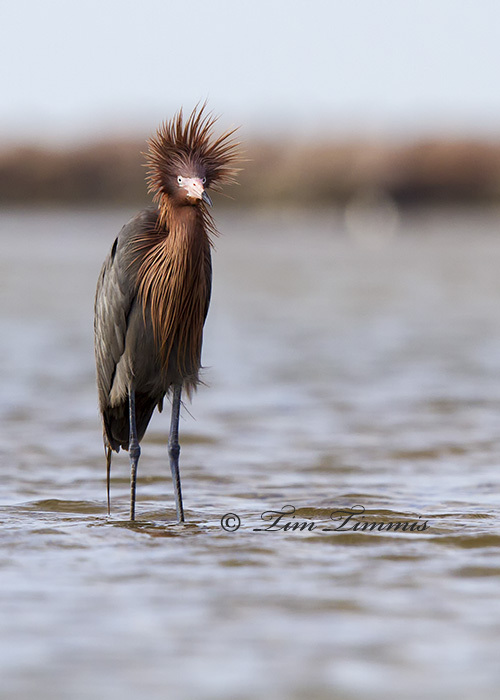 As 2014 comes to a close, I wanted to share some of my favorite photos from this year. It was challenging for me to get out and shoot on a routine basis but ended up with some photos that made it worth while. 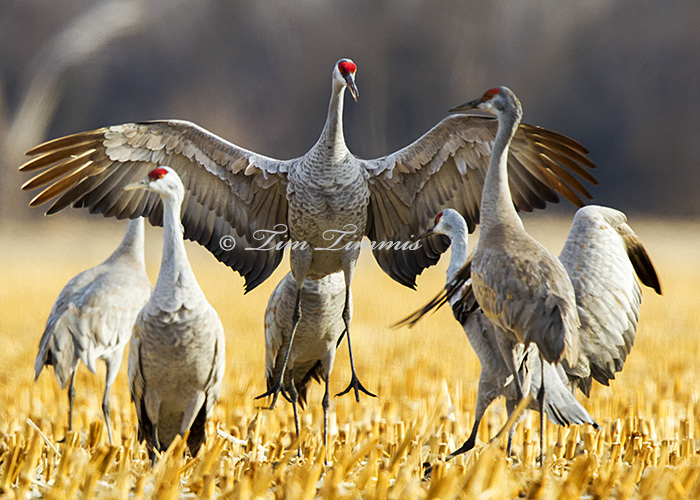 Highlights in 2014 included seeing the Sand Hill Crane migration in Nebraska, leading successful workshops and field trips at Galveston’s FeatherFest, getting published again and finally upgrading to a pro series camera. Now that I have all of the tools, just need some more trigger time to further develop my skills. 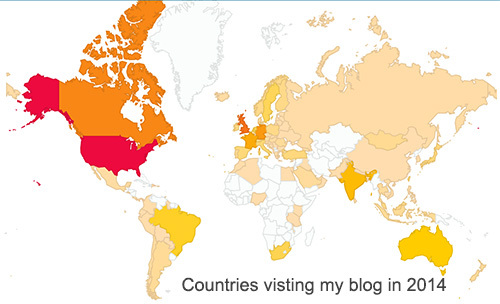 Thanks to everyone around the world that checked out my blog and especially to those who left some comments along the way. Appreciate your support. 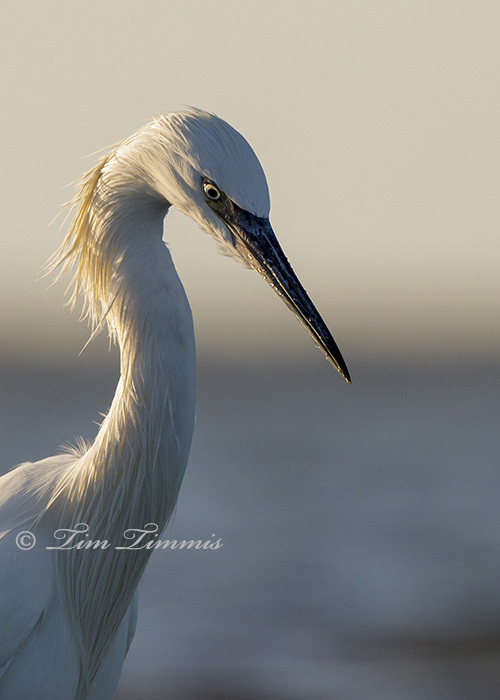 Looking forward to more wildlife photography in 2015. 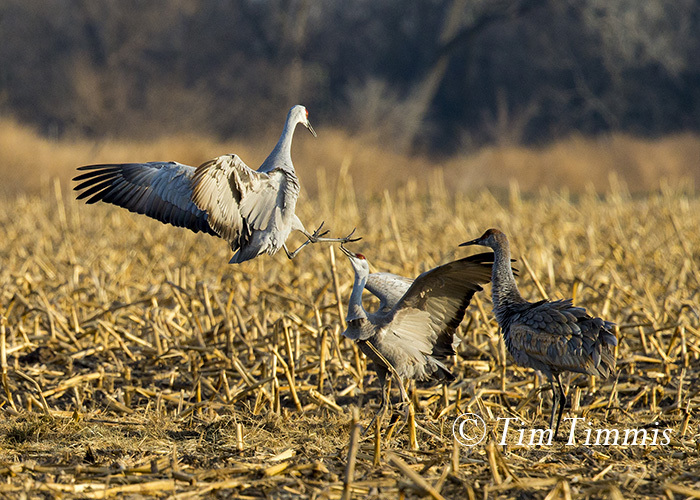 One more Nebraska Sandhill Crane photo for the road. 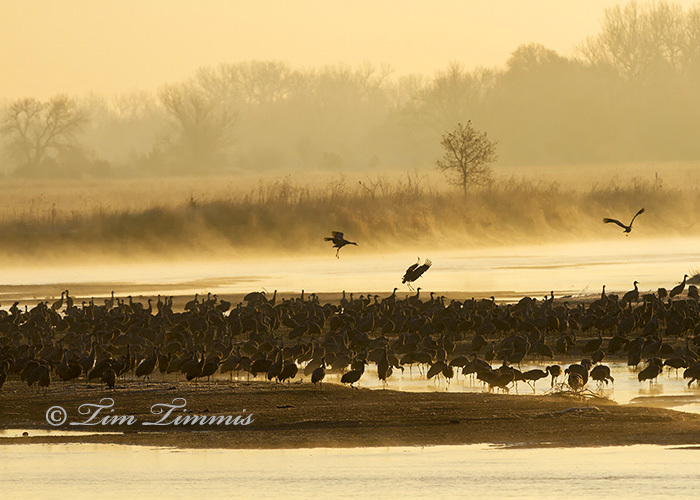 Taken after sunrise over the Platte River in cool 16 deg F weather. The Sandhill’s launched before sunrise with some coming back to the river for some final photo op’s. 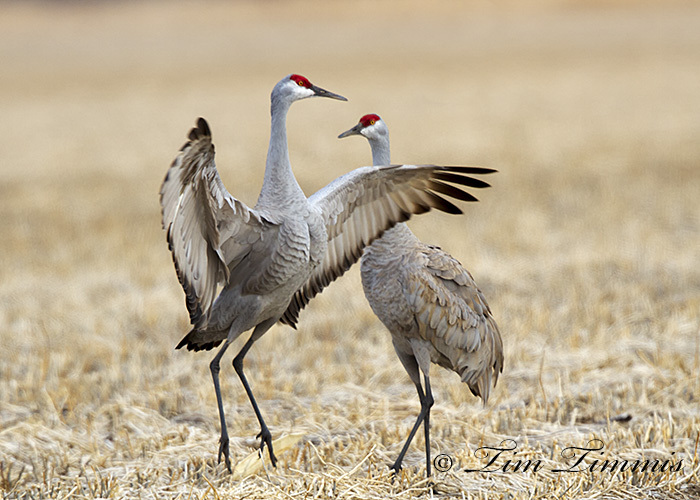 To round out my Nebraska Sandhill Crane posts, the most fun was watching these birds do their mating dances. They would bow down and then jump into the air for all to see. Some would pick up corn stalks and throw them up into the air. 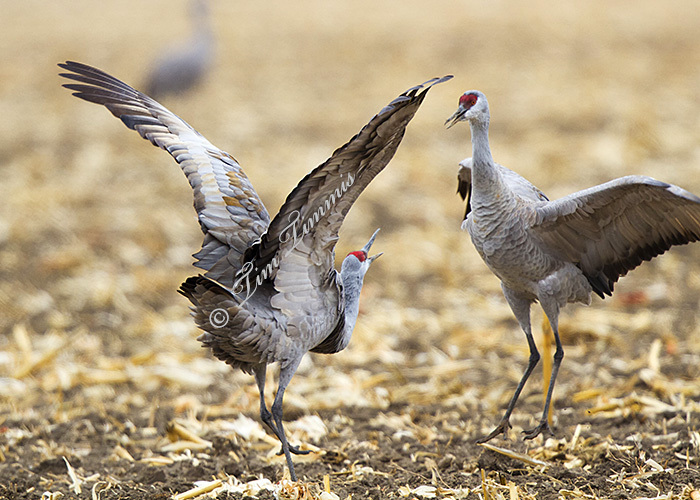 The fields were full of Sandhill’s jumping all around. Good times. Just wish that I would have had my new camera on this trip. Can’t wait to go back next year. 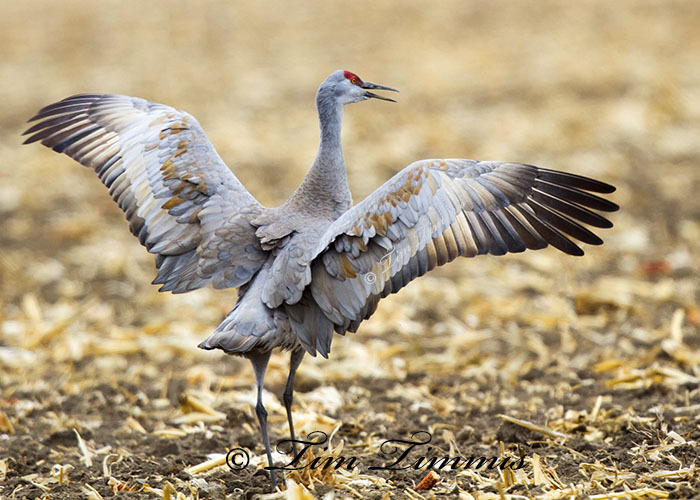 Spent several hours driving the dirt roads paralleling the Platt River in Nebraska where the Sandhill Cranes were feeding in the surrounding corn fields. 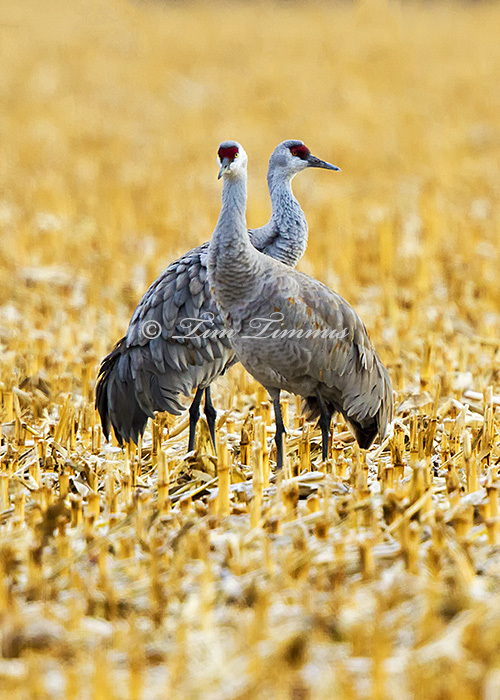 With about 175,000 Sandhills in the area, there were plenty of photo op’s. This one had his full wingspan on display. Had some clouds which ended up being a blessing with the color in his feathers coming out. This nearly full framed shot is one of my favorites. Taken handheld out the car window. Some were too close and I should have taken off the teleconverter but didn’t want to take the time to do it. 1/400 Sec @ F5.6, ISO 400, evaluative metering, +2/3 exposure compensation. 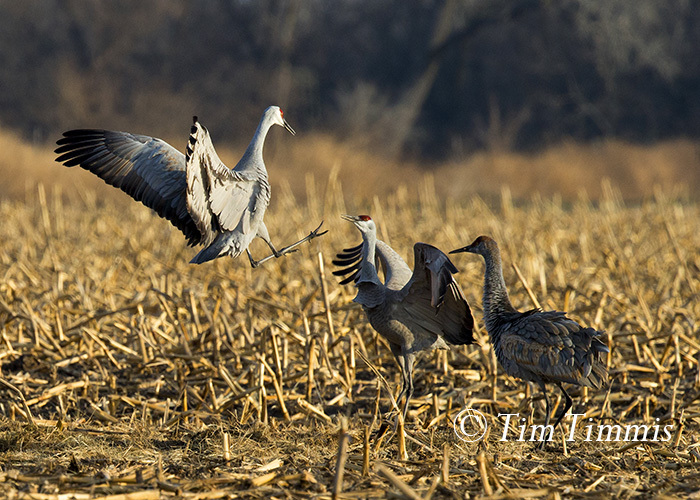 I’ve always heard about the great photo op’s of Sandhill Cranes in New Mexico in Nov/Dec but never much about the migration back to the great white north in the spring in Nebraska. 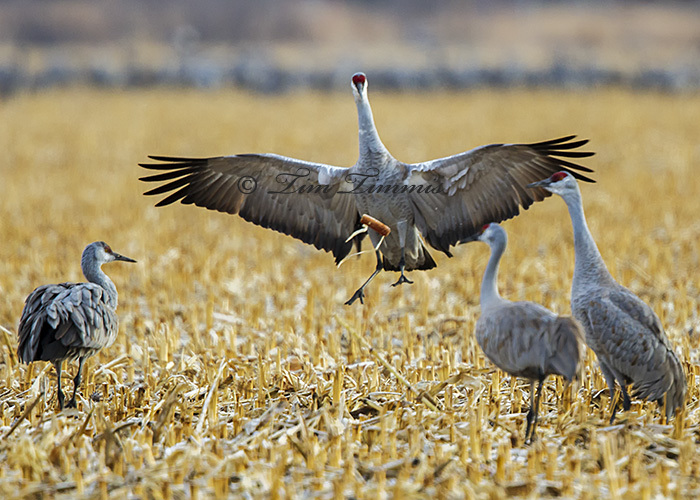 From Feb through April, 80% of the Sandhill Cranes in the world migrate through Nebraska and forage along the Platt River between Grand Island and Lexington, Nebraska. 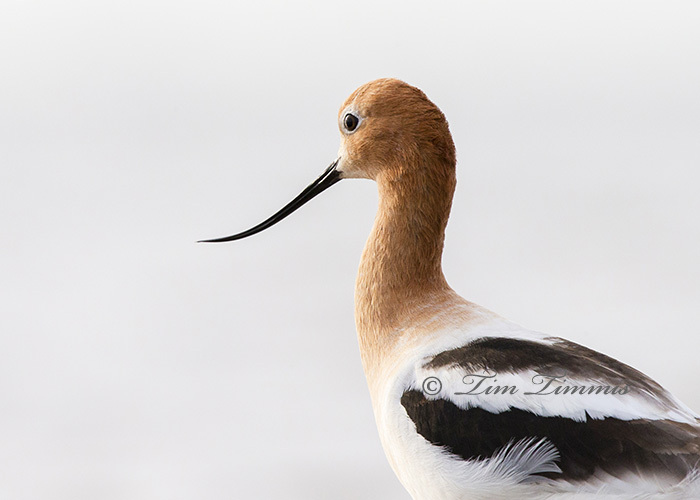 They feed on the waste grain in the corn fields to increase their body weight by about 20% before heading north to breed. 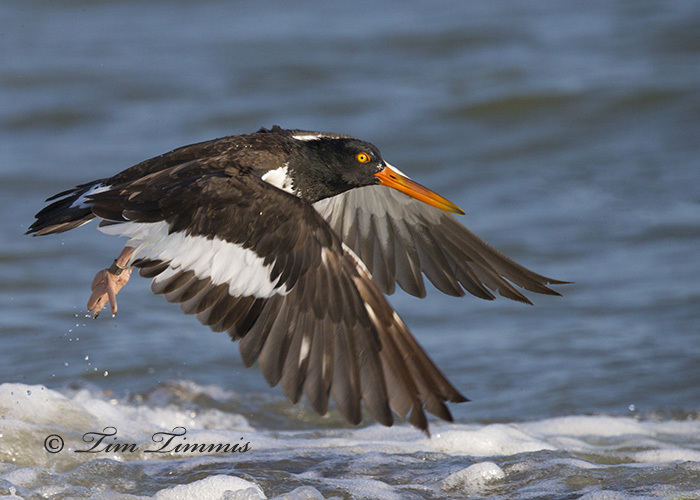 They migrate to Canada, Alaska and even as far as Siberia based on tracking devices placed on some of the birds in Nebraska. 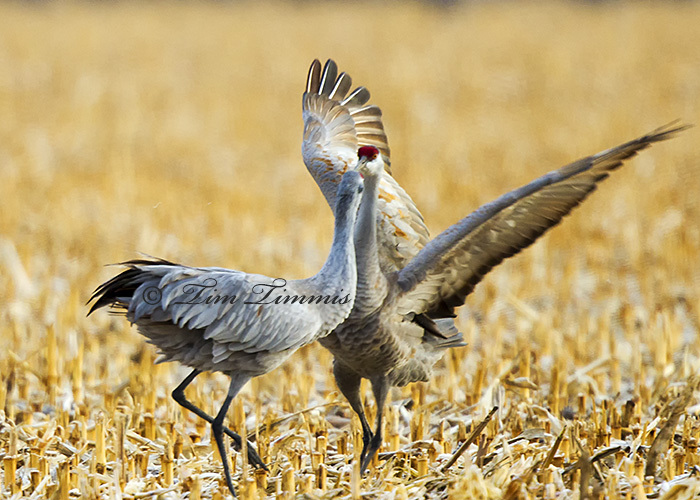 From seeing thousands of Sandhill’s feeding and dancing in the corn fields to tens of thousands of them landing and taking off from the river, it was an amazing time to be in Nebraska. The sights and sounds were incredible. More photos to follow. I’ll have to figure out how to post a video so that you can hear them talking off at sunrise.